I even persuaded my twenty-something year old brother to get a signed copy when Stacy attended Storylines in Wellington. He willingly, if somewhat embarrassedly, stood in line with a crowd of young pony-mad girls to get her signature. Miss Missy was very excited when, a few years later, Stacy visited Christchurch Storylines, and willingly signed the rest of her entire collection of books (there are a lot!!) We sent Stacy a photo of Miss Missy’s dedicated Stacy Gregg shelf, which Stacy then shared on her blog—super cool! So I sort of feel as though I’ve been with Stacy Gregg from the start. I’ve enjoyed all the books I’ve read (though I haven’t kept up with them all, I have to admit). I loved The Diamond Horse, and have just finished The Fire Stallion. I think it’s my favourite book so far, although I’m now reading The Princess and the Foal, which I didn’t read at the time when Santa gave it to Miss Missy — I think it might be my favourite too. I thoroughly enjoyed listening to Stacy Gregg at WORD Christchurch Festival, and being able to chat to her afterwards, and so I was very excited to be able to ask her a few more questions. First of all, what gave you the idea of writing about Brunhilda? I was fascinated to learn a little about her, and about Viking girls. I’m curious: Did you like the story of Sleeping Beauty when you were little? What were your favourite fairytales? I think my favourite fairytales were always the creepy ones. Hansel and Gretal hanging in a cage in the witch’s living room while she fattened them for the pot, wolves eating grandmothers whole, that kind of thing. The romantic ones left me cold. 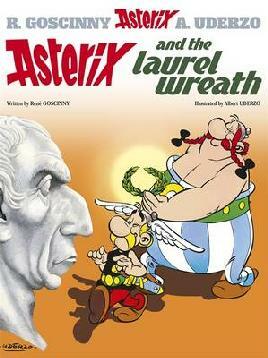 Brunhilda is all kinds of mythic and historic figures. Yes, she’s the origin story of the Sleeping Beauty myth, and she’s also the Queen of the Valkyries from Wagner’s Ring Cycle, and she’s the Icelandic Princess who is central to Snorri Sturluson’s Eddic poem. There are different versions of her throughout time – this is the update in which Bru reclaims her power and stops waiting for true love’s kiss to wake her. I don’t think girls have time for that anymore. Brunhilda and her brother had some pretty serious sibling rivalry, and so did Anna Orlov and her brother. Do you have any brothers and sisters? If so, did you fight with them a lot? I know! What’s my problem with siblings? You would swear I have a brother that I hate like poison. In fact I have just one sibling, a sister, and we get on famously – although we did fight like cat and dog when I was a kid so I do understand that complexity of being rivals I guess. I was surprised by some of the things I read about the Vikings in your book. What was the most fascinating thing about Vikings that you learned while you were researching the book? In the past I’ve written books with historical narratives anchored in the time of Empress Catherine the Great in Russia, Queen Isabella and Christopher Columbus in Spain and the Italian Civil War, but this one with Vikings was definitely the most fun yet. They had such a brutal and noble way of viewing the world and their pantheon of gods is so nutty, so there’s a lot of Norse mythology in this book – Thor, Odin and Loki all make an appearance and I really enjoyed researching them. And of course travelling to Iceland and visiting Thingvellir – standing on the Law Rock where the Viking counsel held their AGM – that was very inspiring. The landscape of Thingvellir is spectacular – it’s the shooting location for everything “Beyond the Wall” in Game of Thrones – so dramatic and beautiful. What did you enjoy most about Iceland? How cold was it when you were there? You’ve been to Russia too; do you enjoy the cold? I had originally planned to go to Iceland in December until I realised that it would be too wintry – Iceland only has a couple of hours of daylight a day in that month. By the time I went it was spring – which meant minus five degrees during the day. I really feel the cold so I pretty much lived in a massive duvet-like Canada goose jacket the whole time I was there, sometimes teamed with fleece lined overalls. So no, I don’t theoretically like the cold, and yet I would say that Iceland and Russia are my two favourite places that I’ve ever been. Russia for the food (I know! Who would have thought?) and Iceland is just so outrageously beautiful. The next book is set in Berlin and Poland I’ve just been there on a research trip and it was freezing too! I need to start writing in warmer places. What’s the weirdest things you’ve eaten in your travels? And what is your favourite food? Fermented Greenland Shark is the iconic traditional food in Iceland. 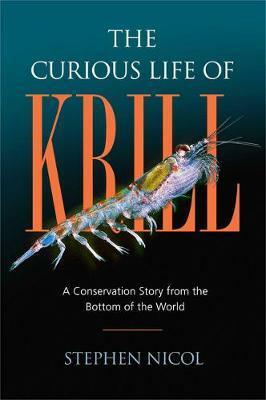 In my book Hilly explains how you take the shark, which is totally toxic if eaten fresh, and crush the poison out by burying the shark under boulders on the beach for a month. All of which is true. By all accounts it tastes disgusting. I never gave it a go because the Icelandic people told me it’s just for tourists now – the Vikings ate it out of necessity. Puffins are on the menu for tourists too – they catch them in giant butterfly nets and they taste a bit like muttonbird apparently. I didn’t eat them either on the grounds that they are too cute. I did eat reindeer carpaccio at an amazing hotel called the Ranga down on the southern coast which is the best place to see the Northern Lights. And in Russia my favourite meal was probably raw mince with raw quails eggs and pickles. I thought I was ordering a burger at the time but it turned out to be amazing. What’s the most exciting thing you’ve been able to do because of being an author? I was incredibly lucky when I was working on The Princess and the Foal to be given full access by Princess Haya’s staff to do my research in Jordan. I spent time at the royal palace where she grew up and spoke to people who’d known her as a little girl. I visited the royal stables and rode Arabian horses in the desert and floated in the Dead Sea and ate amazing food and was made to feel so welcome. Afterwards, when the book was published in Arabic, I did a book tour in Beirut fell in love with the place. It’s a really liberal Middle Eastern society there, with a strong French influence to the food – again it’s all about the food! Ohhh – there are so many. Watership Down was a standout at primary school and Charlotte’s Web. When I met Princess Haya we both bonded over our mutual love for Walter Farley’s novel The Black Stallion. And at High School it was Douglas Adams’ Hitchhiker’s Guide To The Galaxy and Sue Townsend’s Adrian Mole and probably by then To Kill A Mockingbird and Catcher in the Rye. I’m wading my way through various titles on Hitler – the new book is set partly in Berlin from 1939-45. I haven’t struck one book yet though that has gripped me. I try not to read when I’m writing as I’m a terrible mimic and I adopt other people’s styles too easily so I have to read in the gaps between writing. The last book I read was Paul Cleave’s The Cleaner and I’m onto the sequel – Joe Victim. Cleave is very dark and very funny and Joe is my favourite psychopath since Patrick Bateman in American Psycho. Did you enjoy English when you were at school? What was your favourite subject? I loved English. But I always tell kids that if they want to be writers it’s not all about getting the best marks in class because sometimes within the school system I’m not entirely sure being creative is rewarded. Passing exams is about ticking the boxes not thinking outside them. I also think that grammar skills don’t really get taught in English at school. I didn’t really learn how to use apostrophes until I was working on newspapers as a journalist. I learnt my writing skills being chastised by sub-editors. As a consequence I think my copy is very clean now and my editors don’t have to correct much. The most important thing you can do if you want to write is read, and think critically about the work you are reading and then try and utilise what you’ve learnt in your own writing. 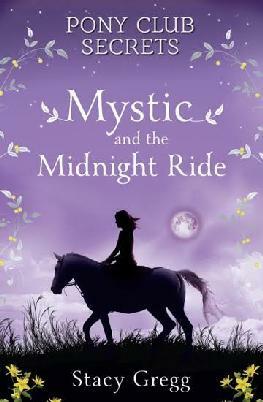 Do you (as an adult) read pony books by other authors? No. 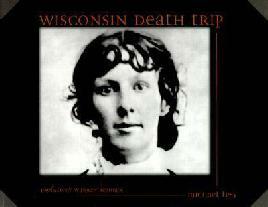 I read the “Jill” books by Ruby Ferguson as a girl. I don’t read any modern pony fiction and I guess now I don’t really consider my books to be pony fiction. I think of them more as far-flung epic action adventures that just happen to feature girls and horses. Are there any authors that you’d recommend to girls who’ve read all your books and are wondering what to read next? I think I’m more in the vein of adventure – I write for strong, brave independent-minded readers who aspire to be heroes. I’d probably be inclined to point them towards male authors who occupy similar terrain – like Rick Riordan or Michael Morpurgo. I’m not a girly writer, despite the glitter on the jackets. Blaze from Pony Club Secrets always reminded me of another pony called Blaze from a picture book Billy and Blaze by C.W. Anderson which I loved as a child. How do you come up with all the names for the horses in your books? Oh it was really hard to name the horses in the Pony Club Secrets series! That’s because the name of the horse features in the title. And often in real life a horse is given a human name – our horse for instance is called Cam, and he shares a paddock with a horse called Dennis. But you can’t really have a title like “Dennis and the Golden Trophy” because it gets confusing. Who is Dennis? Is he human or horse? So the horses have to have ‘horsey’ names like Blaze and Fortune and Storm. Although Pony Club Secrets is set in New Zealand, when I was reading the books, I thought it seemed like a slightly English version of New Zealand. Did you do this on purpose? 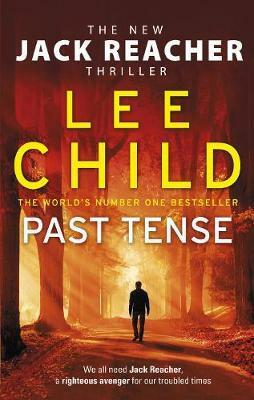 Well the books were always intended for the UK market and my publishers HarperCollins are based in London so it kind of naturally evolved to be slightly a combination of the two countries which I think works. Do you have a favourite horse colour? I like a really bright bay or a very rich golden dun with black points. Although lately all the horse-protagonists in my books seem to wind up being grey for some reason. Do you have a favourite character (girl and or horse!) from your books? I am totally besotted with the two girls in my new book, The Fire Stallion. Especially my Viking princess Brunhilda (Bru for short). Bru is so sword-wielding and stoic and yet she’s still sensitive and devoted beyond all else to her horse. She’s a hero in the true mythic sense and she just sort of leapt onto the page right from the start and gripped me by the throat and said “let’s do this”. I want to be her. Did you have a pony when you were young? Can you tell us about your first horse? I had to beg my parents for years. They were convinced I was going through a phase. When I finally did get a pony (her name was Bonnie) they didn’t have a clue what to do. Neither did I although I was convinced I was a genius. I was very lucky that they enrolled me in pony club. My sister rode too and we competed every weekend but we never had starry ponies and we wore homemade jackets and jodhpurs held up with safety pins. My daughter was lucky to have a horsey mum I think, and also times have changed and everything is so much swisher now than it was back then – there’s so much gear to buy and the horses are so fancy now. Cam is actually my daughter’s horse but I’m lucky I get to ride him quite a lot at the moment as she’s busy working on Power Rangers! The Fire Stallion is dedicated in part to the Sea Breeze Café in Westmere – which is where I am sitting right now answering these questions. I’ve just bought a new apartment and also a new desk in the hope that I can spend more time writing at home in future. You were a journalist before you became an author. What did you like most about that job? I loved the variety. I did everything from features and fashion so one day I’d be interviewing Donna Awatere Huata and the next I’d be down at Mount Ruapehu because it was erupting and then I’d be in Sydney for a Louis Vuitton launch eating fancy canapes and drinking champagne. Journalism taught me so many skills that I use all the time – I research in the same way now that I did back then and I’m pretty fearless about bowling up to people that I need to talk to and asking them the right questions. Plus I can hammer out a super-huge word count under time pressure. It’s also the reason today I like to work in a café – it reminds me of the buzz of the newsroom. Totally! I just didn’t think it was a realistic expectation. I mean riding horses and writing – it doesn’t sound like a real job does it? Everything. I love the freedom of it, creating your own routines. The flipside is that it’s a very uncertain profession. You have to have a bit of steel in you to get through the phase when you’ve been working on a manuscript for three or four months and no one has seen it yet and you’ve hoping it’s as good as the last one and that you’ll be able to continue to pay the rent. That sort of existence is not for the faint hearted. Do you think being a journalist has made you a better writer? Absolutely – although I was always a “style writer”. I did features, not hard news reporting. I never actually went to journalism school – I don’t think I would have survived that environment of nuts and bolts reporting. 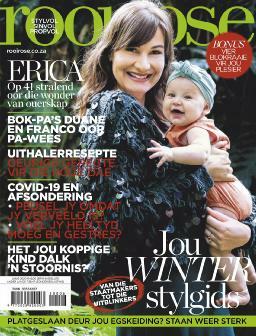 I managed to pester my way into a job at More Magazine and I learnt from the editors I worked for – Lindsey Dawson, Warwick Roger, Paula Ryan, Donna Chisholm, Wendyl Nissen, Stephen Stratford, Steve Braunias. It was an education. What advice would you give to someone who wants to be an author? You need a back-up career – books are a slow business and even once I was getting published with Pony Club Secrets it took about three years for the royalties to begin coming in. The average author in the UK earns two thousand pounds a year. In New Zealand I’d think it’s probably about the same. If you are determined to do it, look at the market and do your research and think about your career as a big picture, not just one book. And then write. And rewrite. And get your manuscript into perfect shape before you approach agents to take you on – you’ll only get one chance to impress them so the work needs to be tight. What? In my entire whole life? Like I’m going to tell you that! I am mortified by things all the time that I do and I have no memory of my victories but a long memory for all the times I’ve been a twit. My days as a fashion editor left me open to daily embarrassment. I was at the Viktor and Rolf show at the Tuileries in Paris and I was allocated a seat in Row Z but I was so busy chatting to my friend Lisa Armstrong who was front row I didn’t realise I was single-handedly holding up the runway show because Vogue editor Anna Wintour couldn’t get past me to get to her seat. Her people had to move me on. That was a bad moment. Lastly, where did you get those amazing silver boots you wore to WORD? Do you have lots of shoes? When the Sunday Star-Times first launched their magazine “Sunday” I was their fashion editor and I had a column called Shoe of the Week. So yeah, it was a work-related hazard that I developed a shoe obsession. The silver boots are Balenciaga and despite the fact that they look crazy to walk in they are super comfortable. They were also nose-bleed inducingly expensive. They have since been surpassed on my latest London/Berlin trip by a pair of black patent Prada stilettos and some furry Birkenstocks that make me look like an Ewok. I shall have to write a lot of books to pay for them…. 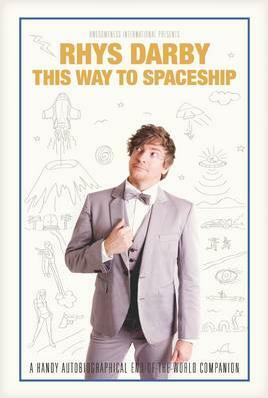 Funnyman Rhys Darby has teamed up with Scholastic in a fun new fiction series for kids. 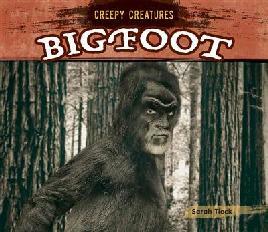 He talked to Christchurch City Libraries about his debut children’s book and reading interests, his passion for cryptozoology and his connections to Christchurch. You may know Rhys Darby as a comedian and as an actor from Flight of the Conchords or Jumanji: Welcome to the Jungle and much more — and now he’s become a children’s author as well. 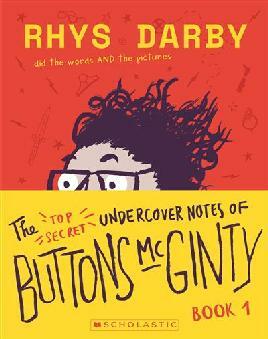 Rhys generously gave his time to chat on the phone about his foray into children’s books with the October publication of The Top Secret Undercover Notes of Buttons McGinty (Book 1), which he’s also illustrated. 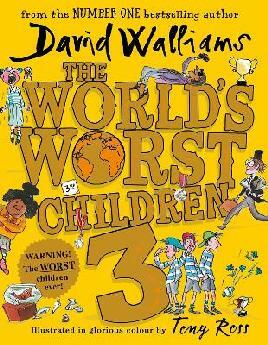 Darby joins other comedians like David Walliams and Australian Peter Helliar who have written children’s books. By Darby’s own admission, he has childlike sensibilities and this lends itself well to his writing. The Top Secret Undercover Notes of Buttons McGinty is a mystery comedy adventure in the format of a journal. Rhys describes his book as a cross between Indiana Jones and Spike Milligan. Darby kept his two young sons in mind (ages 8 and 12) when writing his book. He says he wrote it for anyone with a sense of humour. “It’s for reluctant readers or for fans of my work” and what’s more, he adds, “I wrote it to amuse myself – it had to be fun for me to do it.” It’s hard not to read the book without hearing his distinctive comedic voice in your head, making it feel as if he were reading it to you. Aside from a bit of Morse code, the book is full of funny asides, drawings, lists, maps and speech bubbles. Darby says that breaking up writing like this makes reading easier and more appealing. The story is written with a sense of immediacy. Button’s journal writing addresses the reader and makes you feel as if you are there figuring out the mystery alongside him. Rhys Darby’s interest in cryptozoology is evident in the book when a mysterious caged creature is snuck onto the island. 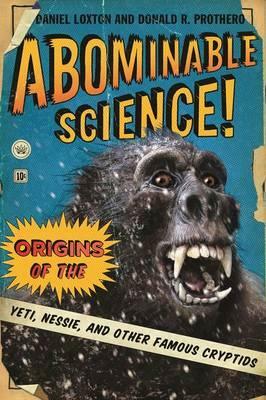 He describes cryptozoology as “things unclassified by science that people don’t think exists – a pseudoscience.” “I’m a fan of the unknown,” he says and he co-hosts a long-running podcast on cryptozoology called The Cryptid Factor with the likes of wry Kiwi documentarian David Farrier. Rhys, why cryptozoology? What sparked your interest and do you have any favourite creatures? What role did libraries play in your life? When we spoke Rhys was planning to visit his old primary school to read to the kids there. The Buttons character in your book is named after your mate Leon ‘Buttons’ Kirckbeck (from your projects the Cryptid Factor and Short Poppies)? Tell us more about the name ‘Buttons’ you chose? Meet Buttons McGinty, from Rhys Darby’s debut children’s book. Rhys, your children’s book is mainly available through Australasian distribution and there are a number of ‘down under’ references and slang in the book. You’ve got a great line in your book about Buttons trusting someone “as much as you trust a cheap pair of jandals.” What made you choose to ‘keep it local’ in your book? Rhys has even managed to retain his kiwiness in the recent Rise of the Teenage Mutant Ninja Turtles, as the voice of a villain called Hypno-Potamus). “I trust him about as much as I trust a cheap pair of jandals” – quote from Buttons McGinty. What did you learn from writing your first children’s book? Obviously Book 2 is underway since Book 1 ends on a cliff-hanger and loose ends – and you hope to write up to 4-5 in the series once you see how this goes. What about a film adaptation? You’re so multi-talented… What drives you and motivates you? Is there nothing you won’t take up or try out? Conversely, what’s something you want to try your hand at – if you could wave a magic wand and just do it, what might it be? You’re already really interesting and diverse, but can you tell us something about yourself that we might not know? “I’m the sort of person with a stack of books on the bedside and read bits here and there but currently The Explorer’s Guild by Kevin Costner the actor (and Jon Baird) – it’s part novel/part graphic novel. It’s set around WWI and it’s a bit of a tome – it’s not an easy read but I like the idea of it. (A worthy but challenging read). We know you like Spike Milligan and, as well as the non-fiction you’ve mentioned, what else did you read as a kid? You must be a fun dad! 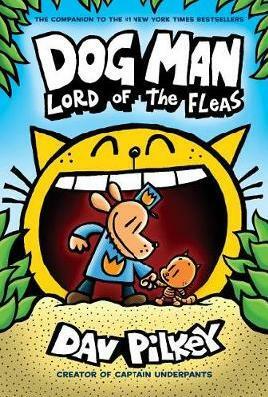 What are your children’s current favourite reads or things you like to read to them? They are enjoying Dav Pilkey, Jeff Kinney and David Walliams. Rhys Darby spent some formative years living and studying in Christchurch. He attended the University of Canterbury, trained at Burnham Military Camp and did his early performances as a comedy duo in Lyttelton. In your earlier autobiographical book This Way to Spaceship, you tell a funny story about being in the 1996 Christchurch Christmas Parade dressed as Mr. Blubby, a mascot to help advertise some sickly jelly concoction, but kids threw the jelly drinks at you and tipped you over. What other memories do you have from your time here? Talking to Rhys Darby is a delight and a volley of conversation that can go in any direction. One thing that struck me was his way of thinking. “Just imagine” he says often or “I could imagine…” As you can imagine, he’s effusive and full of spark and creativity and his enthusiasm is refreshing and contagious. Rhys Darby certainly has cross-generational appeal. I have been looking forward to this book being published for a while, as both a children’s librarian and a parent of children in the target age group. I was already a fan of his comedy since his Flight of the Conchords days, but now I have children who enjoy his work too, in projects like Jumanji and Thunderbirds Are Go! With a children’s book in the mix, he’s growing a new fan base. Darby’s first book is a winner! Borrow it, buy it, gift it! We look forward to finding out what happens next in Darby’s daring adventures in Book 2! Watch: Rhys was recently involved in a hilarious tourism video campaign with Prime Minster Jacinda Ardern to keep New Zealand from falling off world maps. 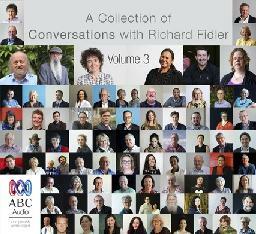 Listen to Radio National’s interview wth Rhys about his new book.